For most, the stock market is either a good place or a bad place. Most people have an opinion about it one way or the other. Some think of it as a dangerous place to be avoided at all costs. Others think of it as a wondrous place to get rich quickly. The most common mistake is to classify the market one way or the other. The stock market is neither one permanently - it swings both ways. There are times when the stock market is the best place in the world to make money. Then there are other times when it is the worst and the most dangerous place in the world. The key behind this change is valuations - or in other words, the price level of stocks. For example, at the start of the year 2018, the market was not a very nice place to be. 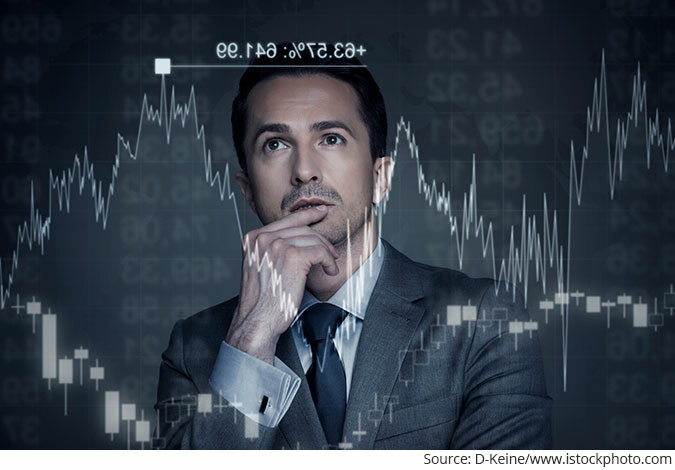 Stock prices were soaring and investing was fraught with risks. The stock market of the time was a dangerous place to be indeed. It is very easy to lose money in such markets. No wonder then that as part of my small cap recommendation service Hidden Treasure, I was highly cautious in giving buy recommendations. I hated the stock prices of the businesses I liked, and was not moved to recommend these businesses - nor to give an 'Apply' view for oversubscribed IPOs - sometimes to the disappointment of my subscribers. Now, as we fast approach the end of the year, the stock market is not the place it used to be at the start of 2018. The market is no longer that dangerous place today. It is now quite an attractive place to make money - if you've done your homework. Falling stock prices have meant that many stocks I refused to touch at the start of the year have now turned into strong buying opportunities and my services have been replete with recommendations galore. Just yesterday, I spoke about how you can use the current correction to buy more and enhance your gains. In fact, the correction in the NBFC space post the IL&FS debacle has led to a great buying opportunity in my recent Hidden Treasure recommendation - a firm that enjoys a strong capital sponsorship, is equally focused on the quality of growth and where there is enough management's skin in the game to ensure undue risks are avoided. But it doesn't end there. There are many more. So much so, among other things I was compelled to come up with special report containing details of 3 high-potential small companies one could consider investing in right away. These 3 small cap stocks hold the potential to generate three or even four digit gains in the years to come. These three businesses could potentially become the big performers in one's portfolio in the years ahead. A specialized high-capability business that has carved a niche for itself in a fiercely competitive industry with a conscious focus on specific high-growth segments. The largest manufacturer and supplier of a niche product in India that is a strong proxy play on multiple sectors in India and abroad, and is a key supplier to some of the biggest and well-known companies in the segments it caters to. And a rare player in the hospitality industry that - while other players in the industry are heavily debt ridden and facing losses - is generating solid profits even in these tough times. The market is offering many strong opportunities in the small cap space right now. This is the time to make money in the market. This is the time to get rich. Don't miss out. The opportunity isn't going to last for ever. PS: Grab the special 3 stocks report right now while the market is a safe place to invest - and you might just end up with 3 big performers in your future portfolio. 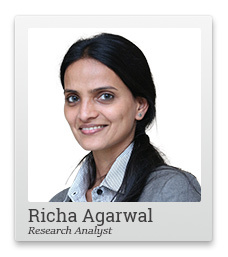 Click here to get Richa's 3 Stocks report. Equitymaster requests your view! Post a comment on "3 Big Money Makers to Round Out Your 2018 Portfolio". Click here!